We have our own 30 hectares of vineyards, at an altitude of 780 meters in ancient alluvium of quartzite gravel and limestone in the vicinity of the winery, planted on plots of Tempranillo, Petit Verdot, Merlot, Cabernet Sauvignon, Riesling, Sauvignon Blanc, Gewürztraminer, Verdejo and Chardonnay. 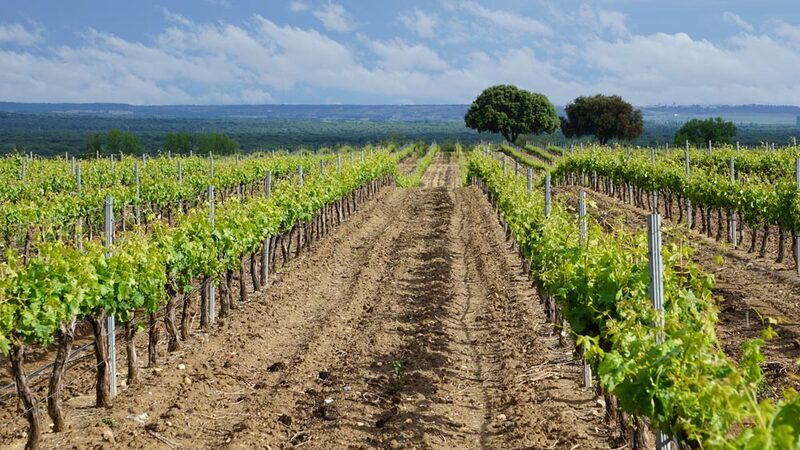 Our vineyards are located near the Duero River and therefore enjoy exceptional climatic properties and soil fertility, characteristics that offer the best conditions for the cultivation of our vines. Unexpected and extreme contrasts that together with work and know-how, give rise to an exceptional grape. Our limited production allows us to have a strict quality control on all the processes of our vineyards, from the winter pruning to the decision of the time for harvest, guaranteeing the best quality raw material. In addition, we try to respect the vineyard as much as possible and apply only the strictly necessary treatments such as the use of organic and natural fertilizers, allowing this way the fruit to express its authentic aromas and flavors. Each vineyard is harvested separately, by plots and following a strict selection. The grapes are picked by hand in 20 kg boxes and are selected during the harvest and before entering the winery, choosing the best bunches. "Reaching a good wine requires work, patience, knowledge and a good dose of affection." Fermentation is carefully controlled in truncated conical stainless steel tanks of only 8,000 kg, with the same height and width, guaranteeing contact between solid and liquid parts. We elaborate each tank in an individualized manner to ferment in a controlled way each variety coming from each plot, avoiding the delays and proceed to the harvest in the perfect stages of maturation for each grape. 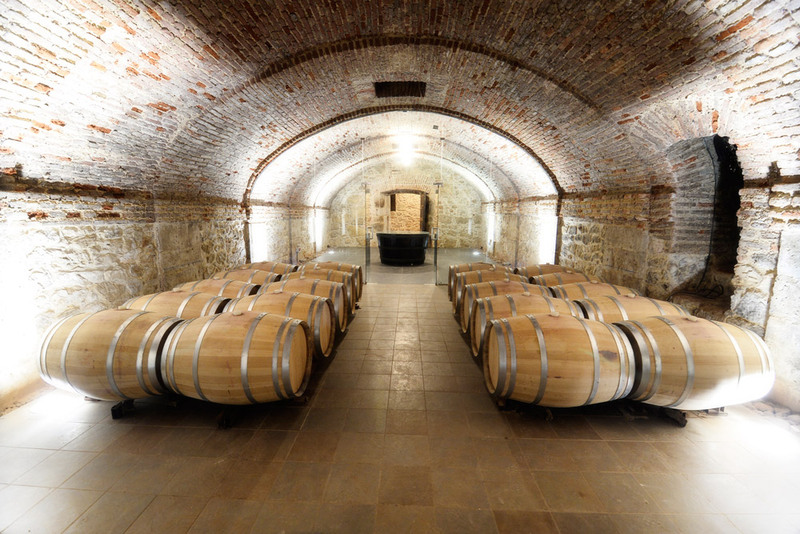 The ageing process is carried out in the original underground cellar of the winery in 225 L French oak barrels, where the ageing takes place at an appropriate speed. As well as the bottle bedroom where the wines are stored in the best conditions thanks to the natural control of temperature and humidity.